Here’s a clever item that packs a lot of style in a small space: the Morrison End Table. Designed to be pulled snugly up to a sofa or chair, with its circular top extending conveniently over the arm and the T-shaped foot fitting underneath. It provides a handy table without taking up extra floor space, and can be pushed back when not needed. Cheap versions show up in catalogs, but here you get true modern chic and excellent construction. 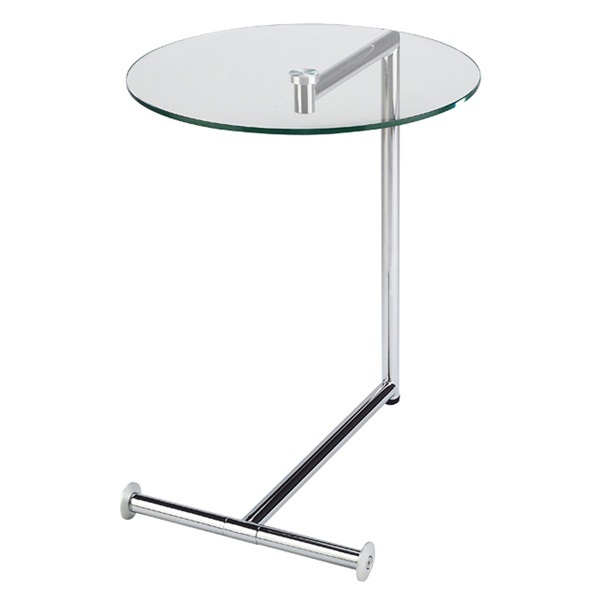 The Morrison End Table has a tempered glass top and a chrome-finished stainless steel frame.